Raspberries and Cream, is I guess a slightly different take on the somewhat boring, albeit classic, strawberries and cream flavour that confectionery manufacturers love to trot out. (Who eats strawberries with cream anyway?) So kudos to Mars for going slightly outside the box. The ingredients list doesn't mention specific flavours but I'll hazard a guess that it's all artificial, so I'm not expecting mind-blowing accuracy on the flavour. 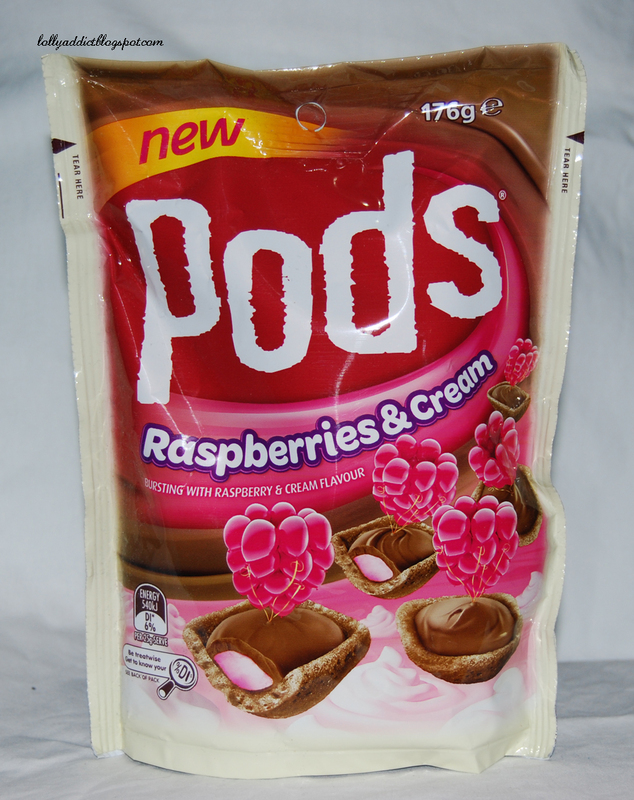 The Pods themselves are their usual good bite-size selves, topped off with a thin layer of milk chocolate. 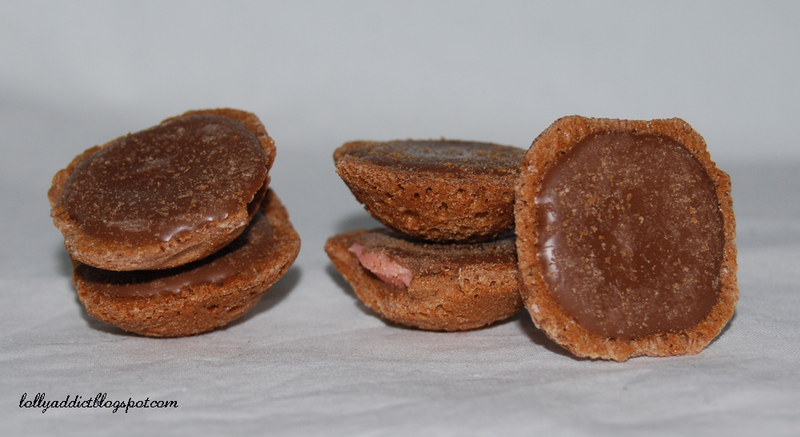 The flavoured centre is cradled by the crispy wafer. It, by itself, doesn't have much flavour, but serves to present the other components well. The milk chocolate is mild but sweet. Most of its flavour is overtaken by the centre. 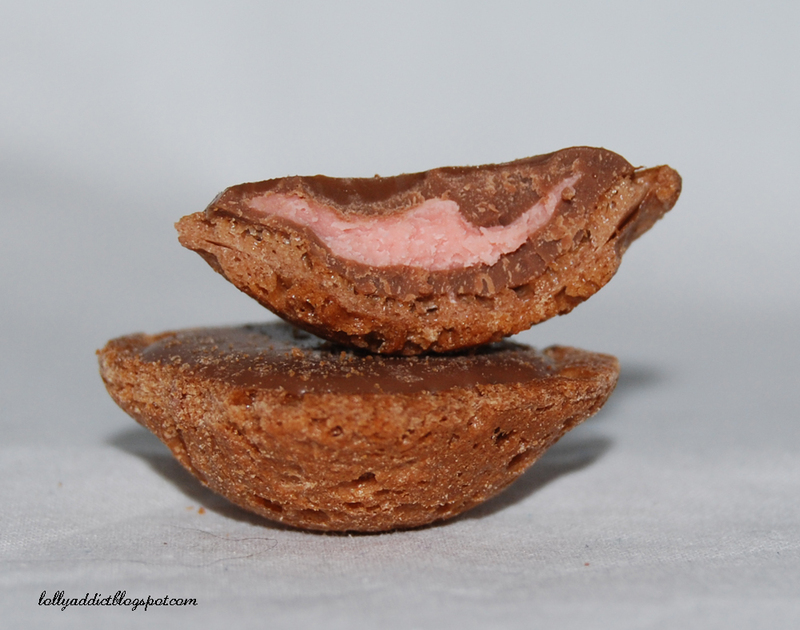 The filling itself is a medium rose pink in colour. It's firm, with a smooth texture like fondant. Its flavour is rather floral, with a hint of berry that is less sweeter than what strawberry would be, but without the big tang a real raspberry would have. It's a bit milkshakey. It's a decidedly girly flavour. The chocolate and wafer give it life, the wafer adding lovely crunchy texture, and the chocolate good depth that supports the floral centre and balances it out a bit. I can't imagine this being too popular with the gents, but it was nice enough for me! They did become a bit throat-searingly sweet after a handful, so just watch out for that if you tend to devour the bag accidentally like me. 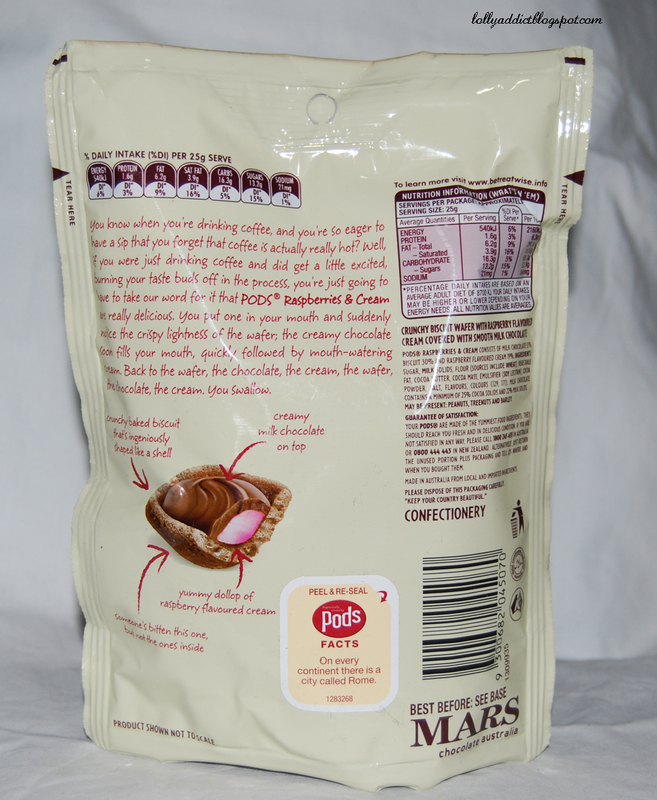 Mars Pods Raspberries and Cream are made in Australia. They contain wheat, milk and soy, and may contain traces of peanuts, tree nuts and barley.